You may be an Eve redneck if . . .
-Minmatar repairs seem overly complex. duck tape AND bailing wire? -your Freighter has a “How’s my Flying?” sticker on it. -you refuse to use teamspeak because chewiing tabaccy keeps gumming up the mike. -your Raven only fits Salvagers and Tractor Beams. -your Domi is up on blocks on a local planet, waiting for parts. -you set your PI up to spell your name. -Pouring Quafe into a cup is ‘just putting on airs’. -You prefer Caldari weapons ’cause they ‘blow up real good’. -You have woken up in a clone right after saying ‘hey watch this‘. -Concord has a separate server for your files. -you think Can Flipping is a way to find food. -Concord sets up gate camps in your honor. -Jita reminds you of the county fair back home, only Jita is a bit more respectable. -You refuse to do the ‘incarna thing’ till they have Caterpiller hats as one of the fashion choices. -a friend says they are ratting and you think they are hunting for dinner. -the Hellcats have a permanent bounty out on you since you gave your wife a Mynxee fur coat for her jr high school graduation. 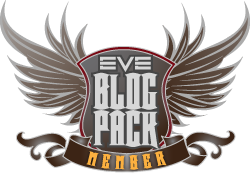 This entry was posted in Uncategorized and tagged eve online, OOC. Bookmark the permalink. Dunno why I can’t log in. Doh! My apologies oh thin and short one. You were also an active part of that conversation even if you were snubbed in the credits. I shall have the staff member who was responsible for that transferred to attacking foglights to my rifter. Isn’t that like a one time 5 minute duct tape and bubblegum job? You keep a Slaver Hound in your cargo hold. I personally have one called Spot. If you have a body kit and a spoiler in your rig slots.